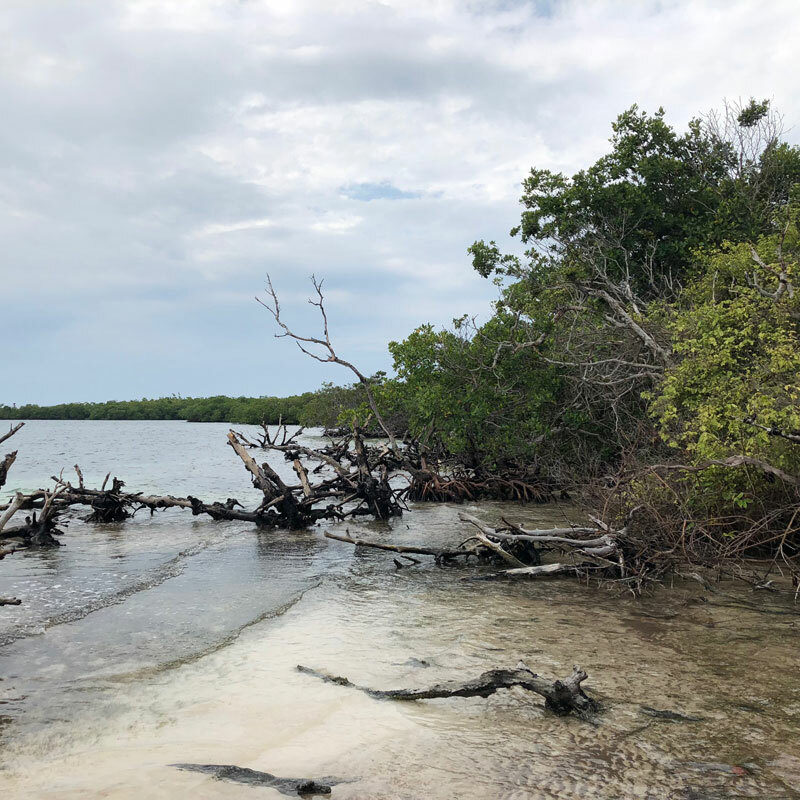 Articles, Blog / March 4, 2019 by IBG Inc.
During our visit to Placencia, Belize, we came across Bakers Rendezvous, a chain of islands that share a name. One of these, near the end of the chain, is for sale in our range. Below we summarize some of the pros and cons of this parcel. We believe, generally, that the pros outweigh the cons enough to place this great little island into a spot as our second featured island. Placencia is a tourist friendly and popular town in the south of Belize, around four hours drive (or 30 minutes flying) from the Belize City and the capital city of Belmopan. Belize City boasts a small but bustling international airport, with direct flights daily to New York City, Houston, and Miami, amongst other major hubs. 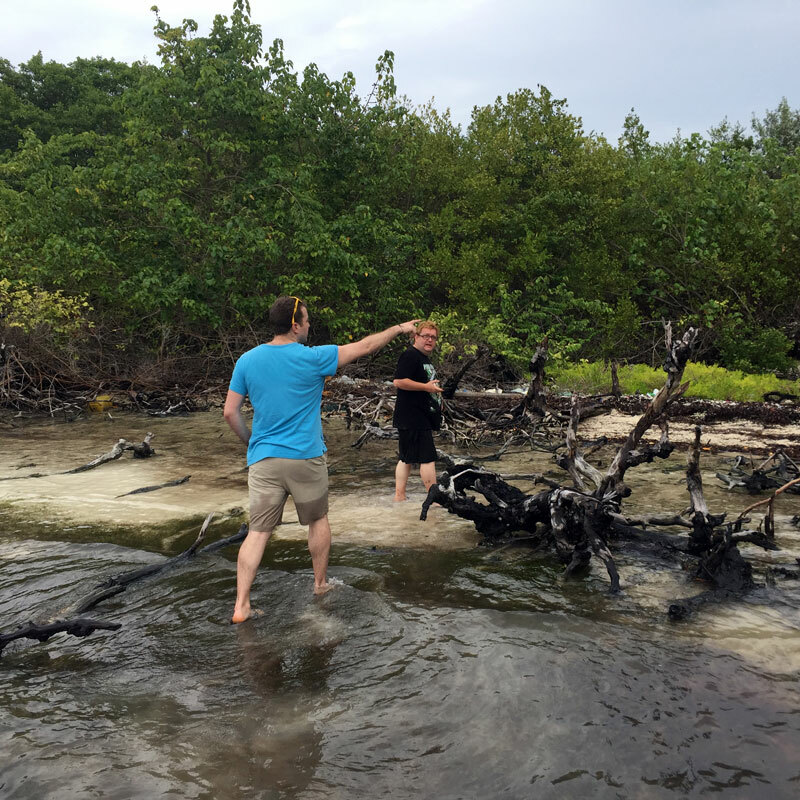 Bakers Rendezvous, like Secret island before it, is within our price range, and is near enough to the mainland, the right size, price and potential to be a worthy option in our island hunt. It is approximately 10.50 miles (17 kilometers) off the shore in the Caribbean Sea, within reach by boat within 30 minutes. This is similar in distance with the other turnkey island businesses we looked at. There are several islands in the Bakers Rendezvous archipelago, though they are all uninhabited. There is still plenty of open sea! Some of the island has been cleared in the past for marketing purposes, but has fallen into some disrepair. 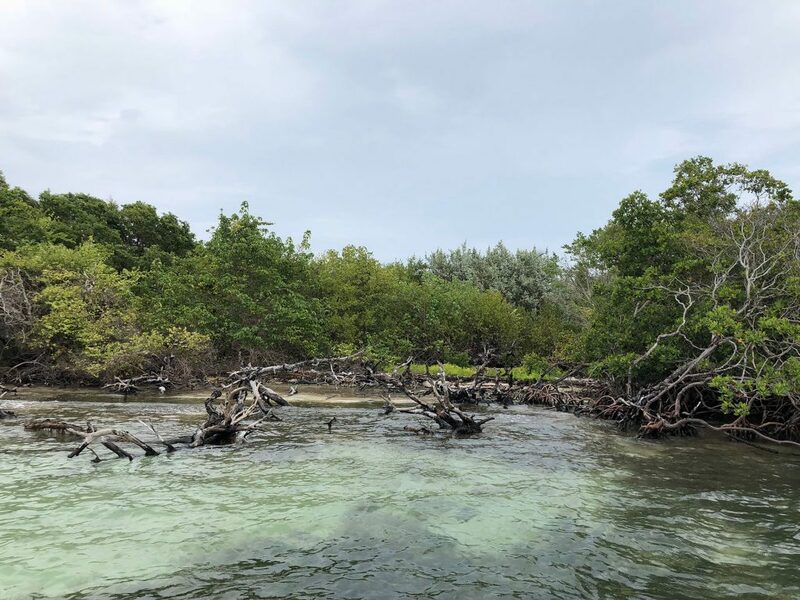 Nonetheless, from an on-the-ground survey, we believe it would be relatively simple to restore the island to its former cleared and accessible glory. There’s a large reef system nearby that stretches for miles in either direction, resulting in an excellent set of opportunities for diving, fishing and snorkeling, perhaps even without a boat to bring you there and back! Water in every direction is crystal clear, and there is deep water on the leeward side for docking boats, both large and small. The island is two acres (0.80 hectares), but that is not inclusive of the 66 foot (20 meter) setback for all water properties, which results in a lot more land than advertised. The center of the isand has been filled with powder white sand from the ocean floor nearby. Nope! Blank slate, just like the others in the chain that make up Bakers Rendezvous! We would be looking at reasonable costs to build, however, and we have been speaking with developers and contractors in the area to get an idea of that cost. It would certainly not be inconsequential, but it is certainly within our budget. Bakers Rendezvous offers a lot of potential. We have not committed to it, and we continue looking, but right now it’s up there near the top of our list!